Which type of laser barcode scan engine is right for me? When it comes to scanning a barcode you have a variety of options in terms of which technology to use. Back in the 80's and 90's a wand was common place. Then the CCD (Charge Coupled Device) became popular. CCD's are still around today and have greatly improved but the main technology we employ now is laser based scanning. 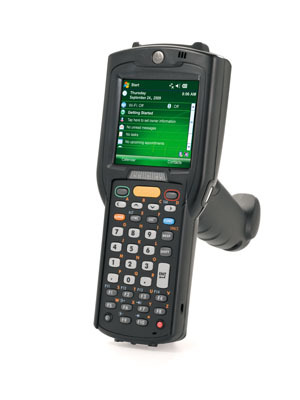 We break down scanning into 'barcode scanners' which are corded, cordless or fixed mount and 'mobile computers' which are hand held portable devices. So how do you select which one is best for you? 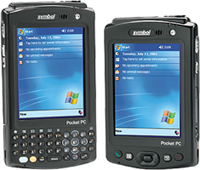 Is your application on a mobile computer? 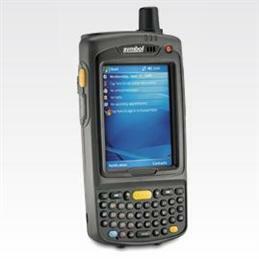 If so, then click here to read about the scanning options for mobile computers. Are you reading 1D or 2D barcodes or both? How are the barcodes printed? Are they good quality? Are they on flat, curved or soft surfaces? Are they on plastic or packaging that gets wet or is frozen? Do you need to scan through plastic wrapping? How do your staff handle the products? 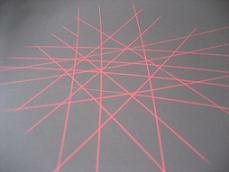 The most common and popular laser is the single line laser beam. Really it is just a spot of laser light made to move left and right so fast by a mirror that it appears to the human eye as a beam. Any scanner with this beam can only read 1D (one dimensional) barcodes. 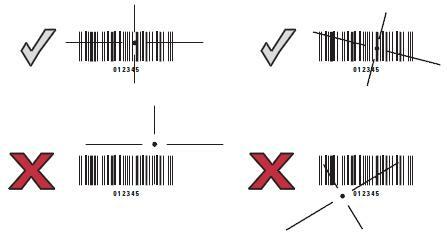 To read a barcode the laser beam must cut across it from left to right, so the user must line up the barcode to get a successful read. The raster laser beam is just like a single line laser only that now it also oscillates up and down as well. This makes the raster even more aggressive when reading 1D barcodes and now gives it the ability to read some 2D barcodes such as PDF-417, microPDF and some RSS (Reduced Space Symbologies) barcodes. An omni-directional scanner produces a pattern of laser lines and are designed to read EAN and UPC barcodes that are presented from any direction. 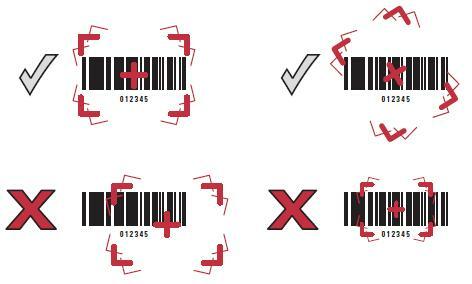 They work well on these symbols since the barcode is 'over-square' which mean that if you divide the barcode in half, it is taller than it is wide. 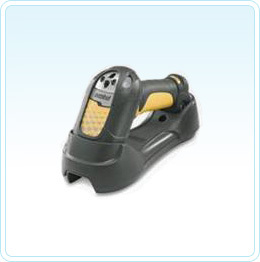 An omni-directional scanner allows two or more beams to scan the barcode to get a good read since you no longer have to rely on just one beam to cross the entire barcode. ...we do not recommend an omni-directional barcode scanner. While it may scan, you will be forced to try and line the barcode up against the longest single laser beam available. The best scanner for these type of barcodes are the single or raster lasers, or an imager scanner can give you the freedom to present the barcode in any orientation. The imager digital scanner is an even more aggressive barcode scanner since it covers the entire barcode in light thus making it less concerned about specs and voids or slight damage to the barcode. An imager can read a 1D barcode from any orientation as well as 2D barcodes. Some scanners offer you the ability to capture documents or signatures as images and save them to your computer. If you are trying to read poorly printed, faded or slightly damaged labels such as these, the imager is the best scanner for the job. 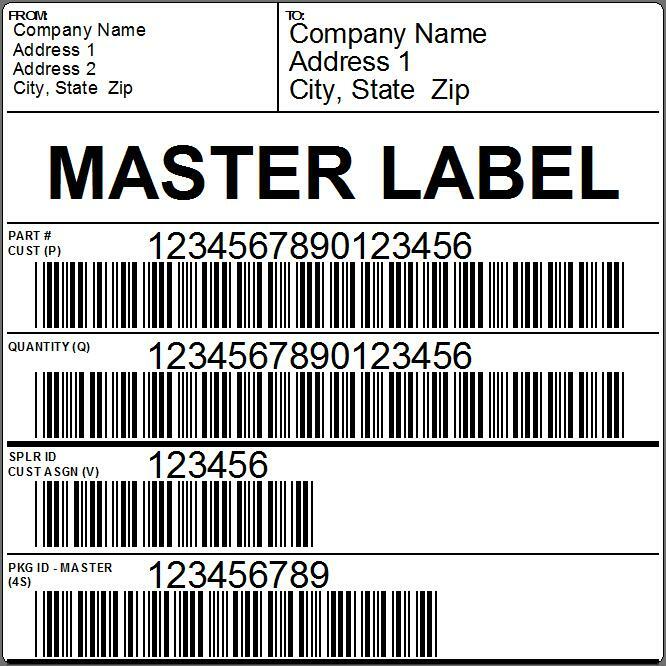 Only one word of caution: if you have a label such as this, it can be difficult to get the barcode you want unless you cover up some of the barcodes with your hand. These labels can also be difficult to read with long range scanners. 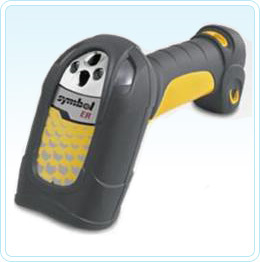 A long range laser scanner allows you to read large barcode labels from up to 15 metres away. 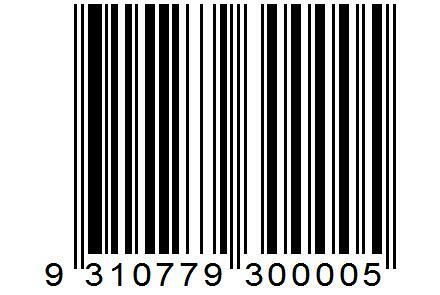 On standard barcode labels it increases the reading distance to nearly double of what a standard single line laser scanner can do. 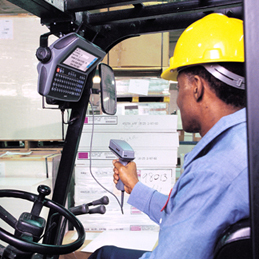 The most common place that long range hand held scanners are deployed is in the warehouse on forklift mount applications. The idea is to avoid making the operator have to get out of the forklift to scan the barcode since this takes time and is not efficient. The barcode has to be an appropriate size to be able to scan it from that distance. Also, the label sample above is not a good design for long range scanning since there are too many barcodes too close together. A better design is to have only one or two barcodes on the label and to spread them out as far as possible to avoid reading the wrong one. A long range scanner on ordinary barcodes at close rang can be hard to read since if you come to close you can't get a good read and you have to increase the distance between the symbol and the scan exit window. When selecting the type of barcode scanner for your mobile work force you need to consider the types of barcodes that they are going to be scanning and the work functions that they are doing. In some warehouse environments there is a mix of scanners. Pickers will use the standard single line laser scanner and forklift operators may use a long range scanner. 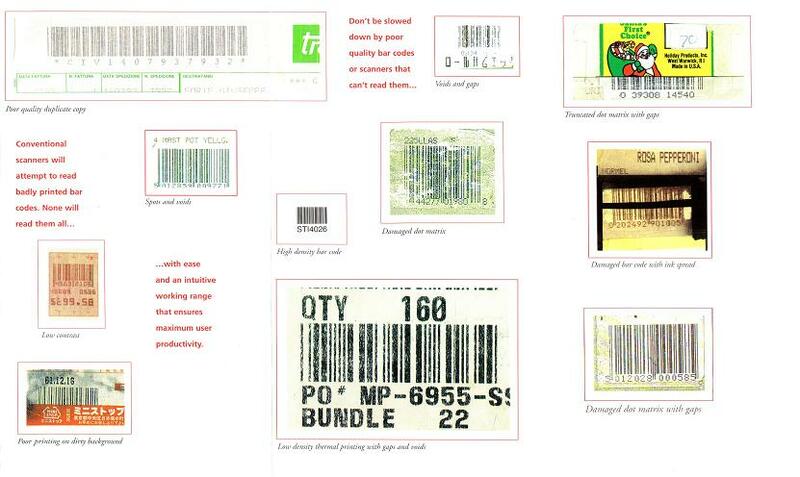 It is all about reading the barcode as quickly as possible. The most common laser used in most mobile applications is the single line laser beam. It reads most 1D barcodes from a few centimetres up to one metre, again, depending on the size of the barcode. 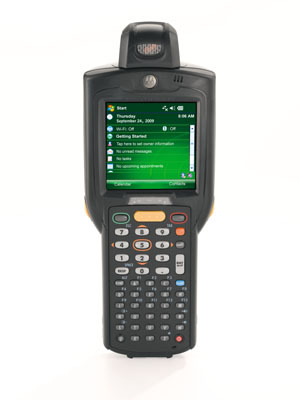 For most close range scanning applications, such as receiving, picking and stocktaking where the operator handles the product and needs to scan a barcode this scan engine is easy to use and very efficient. 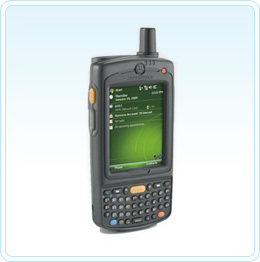 A long range scanner in a mobile computer is ideal when you need to scan barcodes from large distances but you have to have large barcodes to scan. One example is bin location labels. Printed on reflective label stock a 30 centimetre wide barcode can be scanned from a few metres away up to 15 metres. However, in reality this isn't always practical. Imagine you are trying to scan a bin location label up on the fifth tier. The narrow isle makes the angle very acute and if there is any pallet over hang or loose shrink wrap it can be hard to get a clear shot at the barcode. 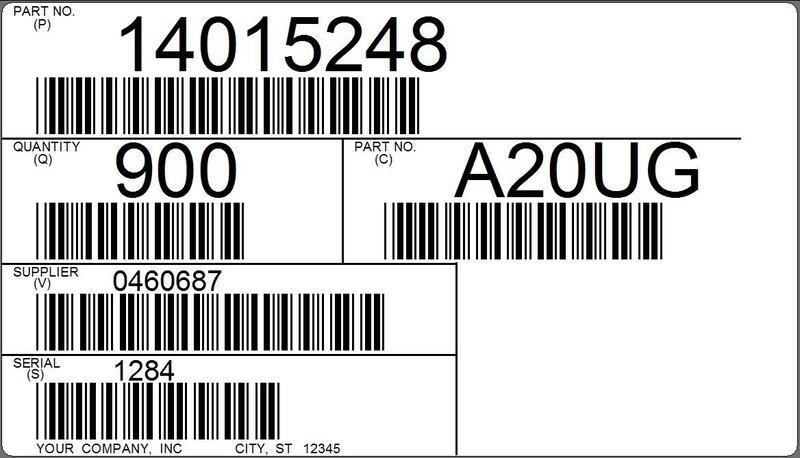 In the majority of cases we simply print a set of bin location barcodes at shoulder height and attach them to the vertical beam. In general, a long range scanner will increase the reading distance of a standard barcode. Where as you might be able to get from 5 cms up to 60 cms with a standard laser scanner on an EAN-13 barcode, a long range scanner can read it from 15 cms up to 1.2 metres. Please note long range scanners can only read 1D barcode symbologies. 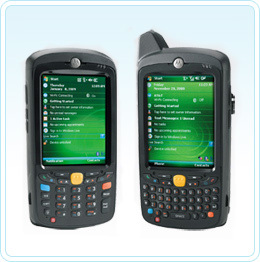 An imager scanner means the operator does not have to line up the barcode. As long as the laser light covers the image it should get decoded quickly. ...it can be difficult to scan the barcode you want. Typically you have to try and cover the ones you dont want so you can read the one you are after.